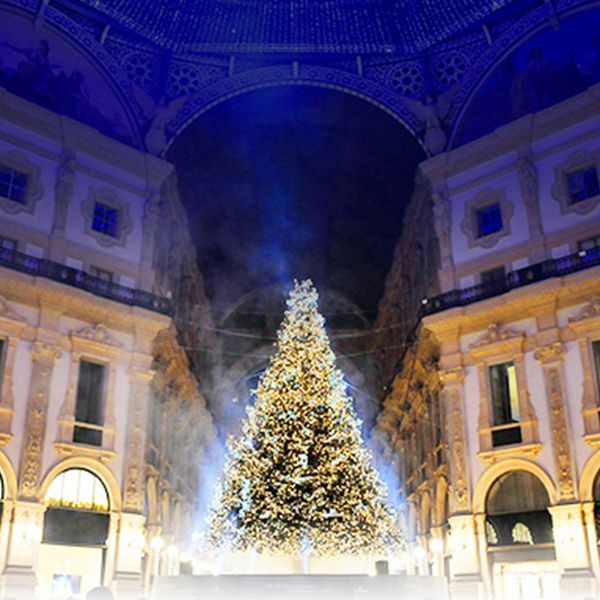 Have you ever tried walking through the streets of Milan during the Christmas period? -It's the shopping city, so the right choice for your gifts. -The streets are filled with lights and decorations that breathe the Christmas atmosphere at every corner. - Every day there are free events in style to celebrate Christmas not just for one day, but for the whole holiday season. We have selected for you the most significant events of the city to tell you why Milan is "THE PLACE TO BE" even in this magical period. From 1 to 9 December - "Artigiano in Fiera"
The unmissable appointment with over 3000 stalls from all over the world and gathered at the Rho exhibition center. Culinary specialties, typical Italian products, events and appointments. A place to find the perfect gift and enjoy the artisan spirit of the parties. The Palazzo del Portici Meridionali will host video projections to reinterpret the traditional Advent Calendar in a contemporary way. Christmas atmosphere to be breathed, especially for children, with the house of Santa Claus, two skating rinks and many celebrations up to the Epiphany. At 6.15 pm, an unmissable moment to welcome Christmas. A 25m tree studded with blue lights. The traditional appointment with the historic Milanese market around the Castello Sforzesco, tradition that dates back to 1886. An evocative Christmas village made of flavors, aromas and lights that are reflected on the water. An ice rink, Santa's house, a carousel, a flea market and the #Regalami charity project that will allow children to receive a gift in exchange for a toy and a small offer. The most classic Christmas atmosphere is found among the wooden houses that display typical products from all over Italy. Wine tasting itineraries among shops, hotels, bakeries, pastry shops, bars and restaurants, with a grand finale of the celebrations in Galleria Vittorio Emanuele, on December 16th at 5 pm, to attend the creation of the largest Panettone artistic in the world. The free classical concert in the square, offered by the city of Milan and with the presence of the Baroque, the Verdi orchestra and the Giuseppe Verdi symphonic choir. A pop singer and a tenor perform on a gondola that will slide on the water of the ship. Follow us on our social networks to stay up to date on events in Milan and on our super deals! ENJOY YOUR CHRISTMAS IN MILAN!